Nemo Galapagos islands cruises ­ Galapagos Islands Cruises company information. 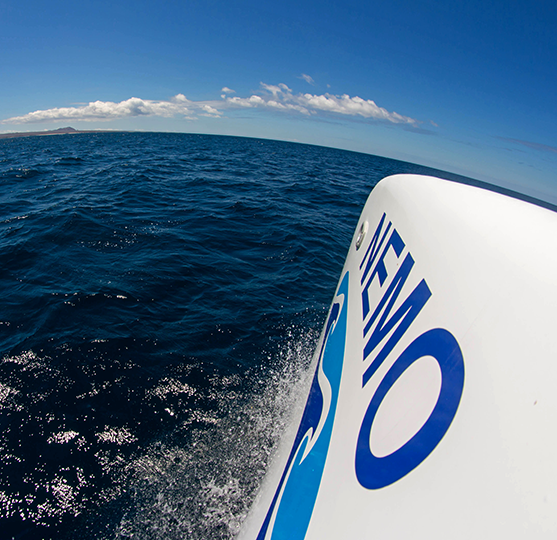 Nemo Galapagos Cruises is a family business sailing the Galapagos Islands since 1985, we offer first class cruises to the Galapagos Islands. We are the owners of three boats available for cruises to the Galapagos Islands; Nemo I, Nemo II, Nemo III, all specializing in naturalist cruises. Nemo Galapagos Cruises is very well recommended by our customers from different traveler forums. You can find many reviews at Trip Advisor by looking for Nemo Galapagos Cruises Latintour for reference to help you decide on your Galapagos cruise. Do you want to experience something outstanding? In this case a Galapagos Islands cruise can be the best experience of your life! If you enjoy nature, but prefer to watch it in a comfortable surrounding – then a Galapagos cruise is just what you need. We are Latintour, the tour operator with about 30 years of experience in Galapagos cruises, so we can assure you that your Galapagos cruise with us will be your best cruise ever. Galapagos Islands Cruises are first of all the naturalist cruises aimed to broaden your horizons and at the same time our comfortable boats will bring you 1st class comfort and fun. During your Galapagos cruise you will be able to enjoy both the wildlife of the Galapagos Islands and the wonderful conditions of accommodations with transportation that we provide to all our clients. We arrange all our Galapagos cruises the best way we can and your Galapagos cruise will not be an exception, both our land and sea crew will do their best to make your Galapagos Islands cruise the most memorable and comfortable cruise of your life. Your Galapagos Islands cruise will allow you to enjoy the hidden beauty of nature and from our end Latintour will guarantee you experience the cruise without a single hitch. Such a unique natural paradise is worth being discovered onboard one of our boats. With us you will be able to choose among our Galapagos Islands cruises that suits you and we will insure that the Galapagos cruise you have selected will be the best ever. All you need is to decide to have the cruise with us and we will do the rest. Our Galapagos Islands cruises are perfect for couples, families, and groups. Everyone will be able to find something interesting on the Galapagos cruises that we offer. We are happy to help you choose a cruise that meets all your needs to be sure that it will be perfect. Making a reservation with us will have many advantages, since you are booking directly with the owner and getting the best price for your cruise and service.